Voice search is not a fashion that will last for some time. But those who have adopted soon became a comfortable zone for them. Here we are going to discuss how to optimize for voice search to generate traffic. In my last articles, I had informed you about the Keyword Research using Google Keyword Planner and Mobile Keyword Research as well. But this time I am going to tell you the importance of voice search and how to optimize for voice search to generate traffic. It has become viral because it is more convenient to speak to an assistant than to type. Even the results of voice queries are faster. If we look at the Official Google Statements: approx 50% of search queries globally basically comes from mobile devices. Google CEO Sundar Pichai announced that around one-fifth of the queries on Google are voice searches. According to Hitwise, approximately 60% of searches are performed on mobile devices. As more and more people are used to mobile devices, using mobile phones to search, the reason is people may find it easier to use their voice to search instead of typing on small screens. Well, voice searching is a hot topic among all the forward-thinking professionals. Voice search stood in the third place, being spotted in a survey of SEO trends 2017 and beyond. We can see in fact, teenagers are knowledgeable users of voice search. 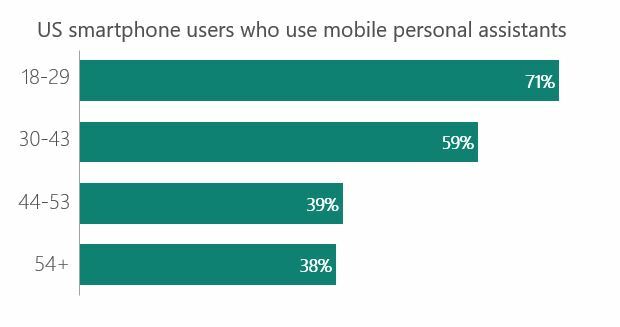 But, it has been found that people in almost all age groups use mobile personal assistants- by Thrive Analytics. Can you imagine the answer is people use it on the go, with friends also and a lot more, even in bathrooms? Let us see the SEO tips for Voice Search Optimization so that you can generate more search traffic. 1: Make sure that your site is compatible with HTTPS framework. 2: Build an authoritative domain. 3: Make sure your website should load fast. For intense details, please look at this first, before we move further on how to optimize for voice search to generate traffic. In this article, I will show you how to optimize for voice search to generate traffic. We will focus on how to optimize your website and content for this search trend. Before this, I would like to make you understand how it collaborates with Google’s algorithm. In the year 2013, Google launched an algorithm update i.e; the Google Hummingbird. At that time, the marketers needed to upgrade and refine their strategy. They started putting and stuffing keywords in their articles so that the pain points of their audience can be addressed. The reason being was that the Hummingbird algorithm started considering the contextual meaning of queries and the user intent as well. 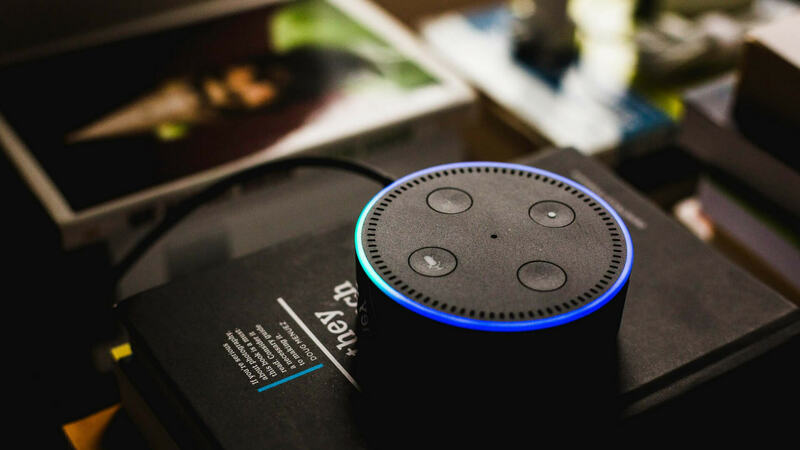 And now, the voice technology is another update and stepped in the direction of improving the user experience with the semantics. Voice technology is based on the Natural Language Processing (NLP), in order to recognize behaviour, interests and texture. As the time passes on, Google will “learn” your accent, language and other patterns as well in the way you will speak. 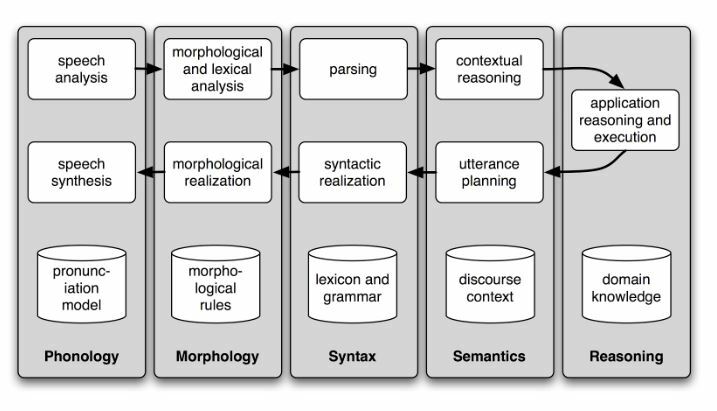 It now focuses on the wider contextual relevance of the user’s query and on the semantics also. Let us have a look at it! You can test this on the new app of Apple Inc. and that is Siri. Here you will understand that the voice search fared decently. As the Google always improve its algorithms, we usually expect the user experience to become more smooth and intuitive. Ok, I will now tell you about the characteristics of voice search. So, let’s begin with the preparation for voice search on the basis of analyzing the data, as to how people are using it today. Contains conversational words and they are longer. 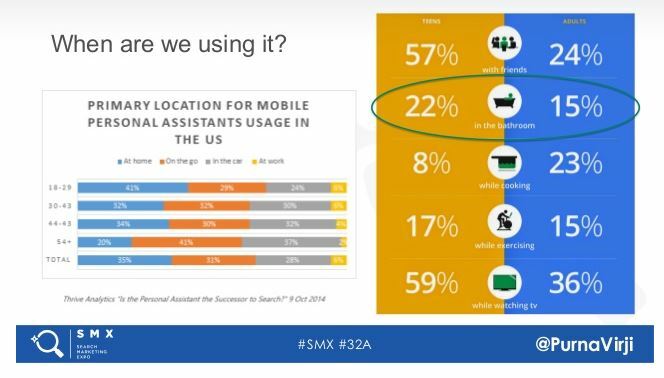 Around 22% of voice queries are for local content. Users look for the immediate response. OK, now keeping the above three characteristics in mind, I will start with the first SEO strategy on how to optimize for voice search to generate traffic. Then, I must tell you that it is always good to use structured data. Content is a great place to start. Apart from looking at content to determine the page’s relevance and position in the search results, search engines look for other important factors as well. Some professional SEOs use these additional factors so that they can optimize their content for the search engines. One such factor is Schema Markup. It is also known as structured data. It gives you an edge over your competitors rather affecting ranking directly. Well, it is a kind of Metadata, i.e. the data about the information on your website and it goes and settles down in your website’s source code. It will not be seen by the visitors but metadata helps in organising and classify your content on the search engines. The following markup classifies your time and calories information. For more information, you can visit here on the markup schema. Markup Schema for voice search can also be used to enable search enhancements and also get a visually appealing result on Search Engine Page Results (SERP). 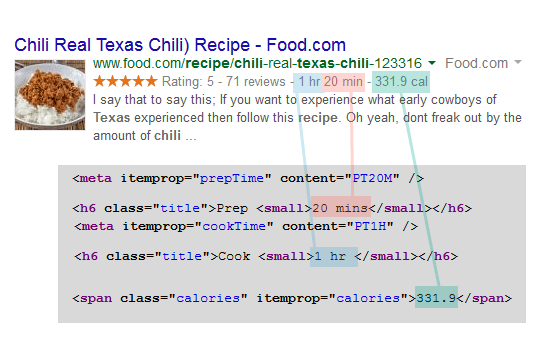 Here is the structured data that shows every ingredient in the recipe. You understand that when users try to search for local businesses, they definitely look for the operational timings, contact information directions from highways, as well as address and many more. So, microdata is used to ensure that the search engines will classify this information. 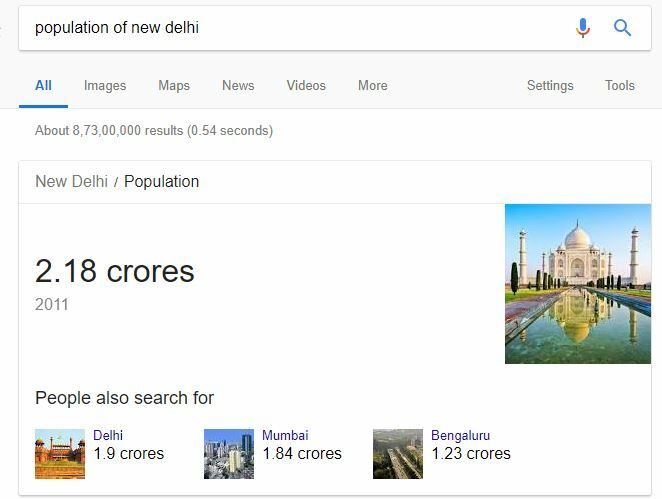 Let’s search for the population of New Delhi. Now, lastly, you should ensure that your structured data pages are not blocked by other control methods or even by robots.txt. It may happen that, there will be a drop in traffic and disappearance from rankings due to a small change in the robots.txt. 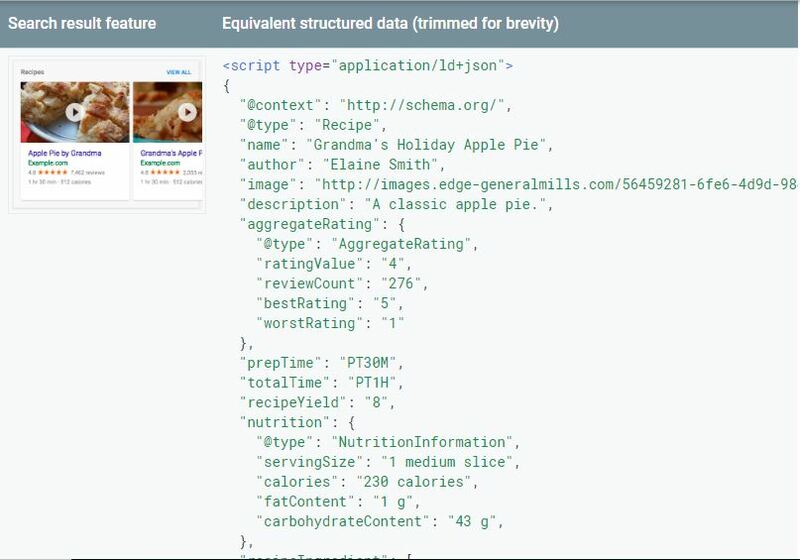 You can also test your structured data using the Structured Data Testing Tool. Do you want an easy way to help your customers find you? Then I think you should share your information in your website’s footer in simple text format. That will be the place where users are accustomed to seeing it. 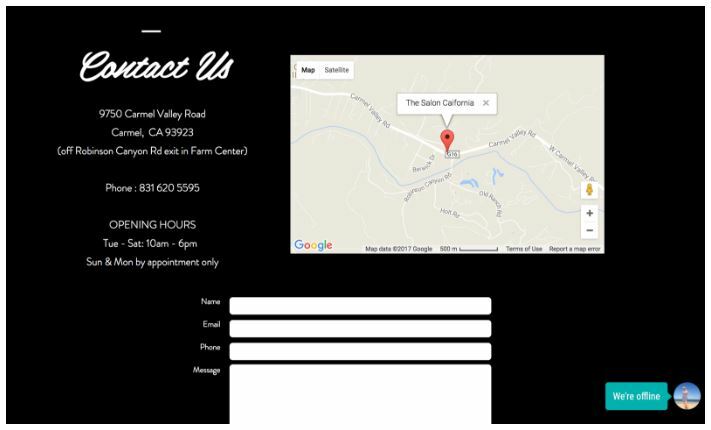 Here we can see an example of The Salon of California does a good job on their website thereby sharing relevant and complete information in their website’s footer. Let’s see what it is? See, there are two ways in which a user might search for local businesses. “Pizza Delivery in New Delhi”- here, if you have optimized your website for local keywords, then your website will rank on top in the search results. “Pizza Delivery near me”- here, for such questions, Google has to rely on the user’s location and in turn depends on the Google My Business Listings. So, this is why claiming for Google My Business Listing is important. While listing, you have to make sure that your information such as your name, address as well as your contact details are accurate. Well, instead of using a free Gmail account for your Google My Business Listing I recommend you using your business domain. Further, I will also recommend you that your contact details ideally include your area code. In fact, to describe your product and services, your introduction should be of 400 words at least, because your introduction part is your business pitch. Associate your listing with relevant categories, as Google wants you to use categories. Categories are used to “describe what your business is about”. See, choosing the correct category is important. It completely relates to the difference between appearing at the top and disappearing from the voice search results. Ok, you should also upload high-definition pictures of your business as well, in order to persuade your clients or audience to visit your store. Any incorrect information in your address or other business information can be problematic to your Local SEO. See one of the most important things in how to optimize for Voice Search to generate traffic is that your website should be mobile-friendly. It is compulsory that your website should be mobile-friendly. The reason is that voice searches mainly happens on mobile devices. Basically, Google recommends a responsive web design. You can also use Google Mobile-Friendly Test Tool. See, if everything is alright, then you will get a message which will say that, “Page is mobile-friendly”. If in case your website needs to be fixed, then Google will definitely indicate the specific steps to tackle fix the bugs. Your website needs to load fast. In our busy schedule, it should not come as a surprise that we expected a website to load instantly. You can also plug your website in PageSpeed Insights. I scored 79 on the test. So, you have to fix your design and speed and move on to your content part. You should understand that, on a desktop, people read in an F-shaped pattern. But, the story is the different story for mobiles. Let me tell you, that the German Research Centre for Artificial Intelligence has recorded the reading interaction as below. 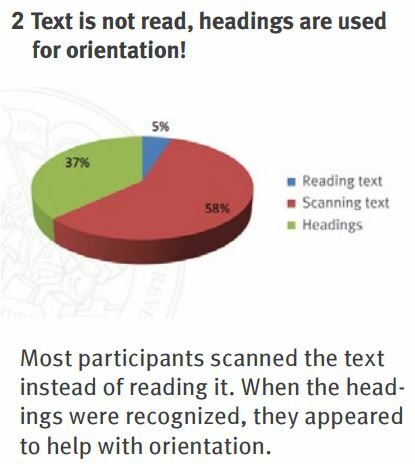 We can see that there are basically three broad categories of readers, and they switched their reading patterns. In a study conducted on iPhone reading, they found that just 5% of people read the text- According to SensoMotoric Instruments. These days our reading habits are revolving around mobile phones only, But we all know that your content needs optimization for aiding scannability. You need to use short sentences, choose simple words that your audience can understand, small paragraphs, leave a lot of white space as well as compelling and attractive sub-headings. This post on how to optimize for Voice search to generate traffic will shed light on the topic in detail. From this I mean to say that you should create a blog post which will be the answer to your customers’ questions. You know that people generally speak different keywords than the ones they type in search engines, in order to refer to your products and services and even businesses. Say for an example, a user may type “restaurants near me”. But, if we will use voice search, they would say “what is the nearest restaurant near me”. You should carefully listen to the words people use when they are talking about you. From this you will be able to collect their common phrases and questions, now, you can create content for them. What most companies do is they limit these efforts to a single FAQ page. Here, I will recommend you to create dedicated posts which are based on your customers’ questions. Finding the questions and answering them through blog posts alone will not help with your voice search. But, it is definitely profitable. River Pools and Spas already started this strategy. What they did is, they started to respond to the questions from their audience on fibreglass pools. The result they got is that, because of content marketing, they were able to save the company after three weeks of overdrawing their bank account. Let’s take another example of Airbnb. Airbnb actually created a perfect experience for their customers. They are doing things that do not scale up. The founders have turned around the company’s growth by giving the opportunity for travelling and staying with their hosts. They provided a world-class product for their customers. Well, by now you might have understood that creating content around customers’ questions significantly will definitely increase your chance of ranking higher in voice search results. We do know that Voice Search is gaining considerable traction and the growth will not last soon. But, the future of Voice Search is unpredictable. And it is seen that it is good and bad both for the marketers. Actually, it is good for those marketers, who basically understands the importance of Voice Search and started optimizing content for it. And, it is bad for those marketers who avoids and ignores the trend and continuing with the same old things. So, you need to get back and modify your SEO strategy so that you can incorporate voice optimization. In the article how to optimize for voice search to generate traffic, we have shown you that it is a hard work, but voice search optimization will bring your content closer to the human language. I am sure, how to optimize for voice search to generate traffic, find it worth reading. So, stay tuned to our website and we will be backing soon with some more interesting topics. Till then, please read buy cheap and best SEO books 2018. You are requested to fill the FORM here, for more and more queries. hello, nice work. keep up. Voice Search is one of the trending topic. Thank you for sharing article about trending topics.